With just hours to go, the viability of a highly anticipated mission to Mars comes down to a critical seven minutes, when the Curiosity rover attempts to make a difficult and unprecedented landing. NASA’s $2.5 billion rover, which scientists hope will let them finally understand whether Mars does or could ever have sustained life, is scheduled to land at 1:31 a.m. ET Monday. Because scientists elected to land the car-size rover in tricky spot - a mountain-containing crater that experts think might have once had water - the landing will be a piece of drama for Curiosity watchers. The world’s largest supersonic parachute and a jetpack-like device will be some of the tools scientists use in the attempt. CNN Belief Blog co-editor Eric Marrapodi shares some information about the Sikh faith. 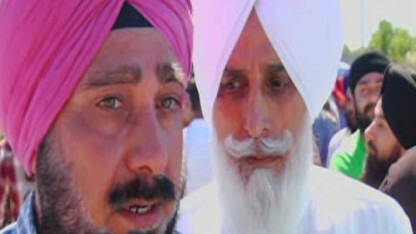 Several witnesses explain what they saw during Sunday's multiple shooting at a Sikh temple in Oak Creek, Wisconsin. Police in Oak Creek, Wisconsin say at this time it doesn't appear there were multiple gunmen involved in the incident. 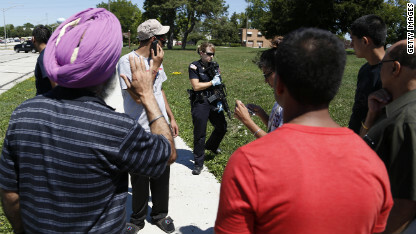 Police at scene of Sikh temple shooting in Oak Creek, Wisconsin. The U.S. Attorney's Office said it is not confirming or denying reports that Jared Loughner will plead guilty in last year's shooting rampage outside a Tucson, Arizona, supermarket. The attack killed six people and wounded 13 others, including then-U.S. Rep. Gabrielle Giffords. On Saturday night, the Los Angeles Times and the Wall Street Journal reported that Loughner, 23, is now mentally competent to understand the changes against him and that a status hearing on his competency, scheduled for Tuesday morning, will now be a change-of-plea hearing. The Los Angeles Times attributed the information to "knowledgeable sources," while the Wall Street Journal said its source was an "official familiar with the case." 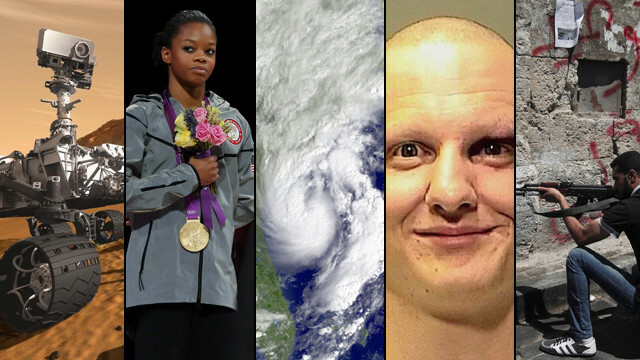 "I can neither confirm or deny the reports in the L.A. Times and other media about the Loughner case," Bill Solomon, spokesman for the U.S. Attorney's Office in Arizona, told CNN when asked about the reports late Saturday night.